The concept of a play within a play isn't new. 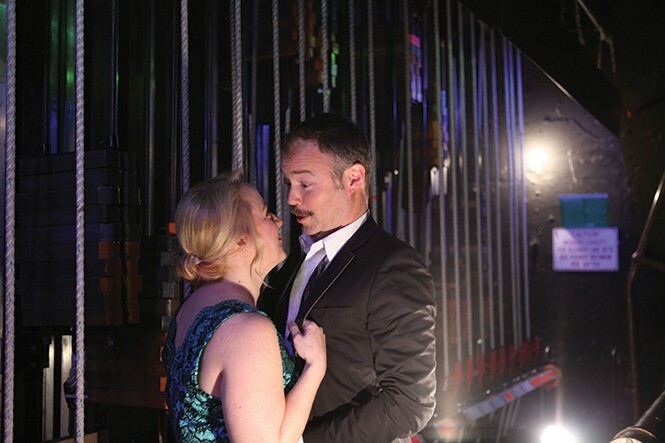 Wasatch Theatre Co.'s production of Stage Kiss, written by Sarah Ruhl and directed by Mark Fossen, however, feels like a love letter to terrible theater. The first-act play within Stage Kiss is a horrible 1930s melodrama. And in Act 2, the play is an equally bad meet-cute between an Irish lad and Brooklyn prostitute. Stage Kiss itself, though, is an entertaining and hilarious romp of life imitating art and art imitating life. The actor identified only as She (April Fossen) hasn't auditioned for a role in 10 years, after taking time off from the stage to get married to her husband (David Hanson) and raise her daughter Angela (Ali Kinkade). While it's a rough tryout—especially having to kiss young Kevin (Tristan Johnson)—the play's director Adrian Schwalbach (Anne Cullimore Decker) casts her as Ada Wilcox. Playing opposite her is He (Daniel Beecher) as Johnny Lowell, who just happens to be an ex-lover. Their icy initial confrontation quickly melts as they fall back in love on- and off-stage, complicating both of their lives. If every holiday had a geek equivalent, then Free Comic Book Day would be their Thanksgiving. On the first Saturday of every May, comic book readers gather around their favorite store and pick up special comics, free of charge to read and take home. The event was started back in 2002 as a way to get new and younger readers to visit independently owned comic book shops, both to boost sales to those local businesses and turn a new generation on to reading through a different medium. This year is the 15th anniversary, and will feature 50 different titles from almost every American publisher. Every major comic book publisher, as well as dozens of independent companies, produces free "one-shot" comics as part of their participation. 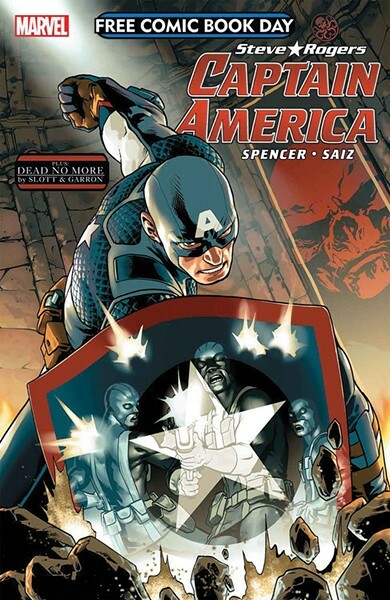 Some, like DC and Marvel, tell stories that lead into upcoming storylines or character developments, like when The New 52 was launched or to tie-in with an upcoming film like this week's Captain America: Civil War. Other companies release stand-alone stories, like Bongo Comics, which produces The Simpsons comics, or Image Comics, which will introduce new characters. 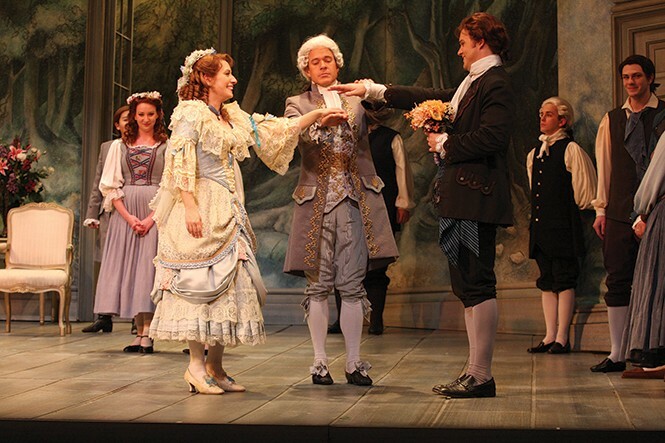 The Utah Opera brings one of the most popular works of all time to the Capitol Theatre with a five-performance run of Mozart's The Marriage of Figaro. The short plot synopsis of this comedy has Figaro upset that his boss is hitting on his fiancé; Figaro, the fiancé and the boss' wife then figure out a way to get revenge. The longer version—including the various subplots and tie-ins to another opera, The Barber of Seville—could take up pages. But don't worry too much about the plot. Enjoy the fact that a musical genius found a way to give each character their own unique sound within an overarching theme. The evening will be pan-European, since it's an opera written by a German, sung in Italian, based on a French play, and although originally set in Spain, for this performance, it's set in England. In popular culture, The Marriage of Figaro plays a prominent role in the classic 1950 Bugs Bunny opera-centered cartoon, Rabbit of Seville. Bugs uses "Figaro Fertilizer" to grow flowers on Elmer Fudd's head. The cartoon ends with Bugs carrying Elmer up a flight of stairs and dropping him into a wedding cake labeled, "The Marriage of Figaro." 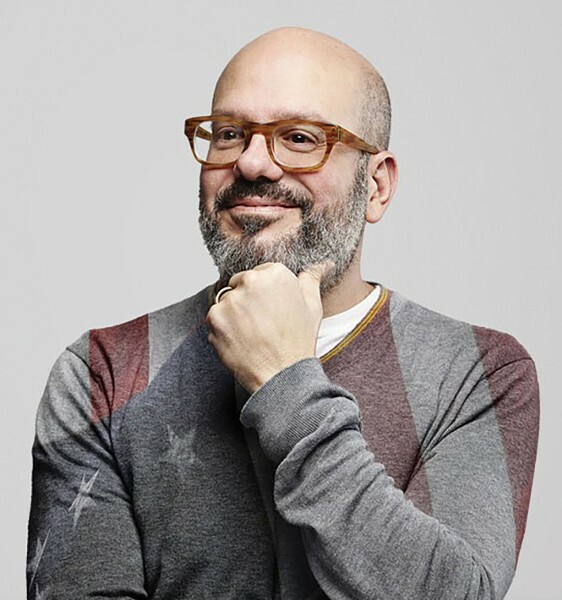 When you look at David Cross, if you don't immediately think of him as Arrested Development's Tobias Fünke, you'll most likely say to yourself, "Oh yeah, he was in that one thing; he's really funny." Aside from his role in Arrested Development, and being the co-creator of Mr. Show with Bob Odenkirk, Cross has been consistently working in comedic roles since the early '90s, while maintaining a stand-up career as an "alternative" comedian, even when it wasn't cool to be one. His list of film and television roles is a testament to his comedic chops. Recently, Cross and Odenkirk were able to bring back Mr. Show for a widely praised short Netflix run in 2015, as well as starring in the third season of IFC's The Increasingly Poor Decisions of Todd Margaret. Currently you can find him in episodes of the second season of The Unbreakable Kimmy Schmidt, and as the voice of Crane in Kung Fu Panda 3. Cross has three albums to his name, his most recent being 2010's Bigger and Blackerer, and a phenomenal documentary called Let America Laugh, which showed some of the tougher times for a touring comedian as he opened for the band Ultrababyfat in summer 2002. There are hundreds of potential land mines in the world of higher education—and, for a while, it feels as though L.L. West's Remington & Weasel is determined to cover them all. 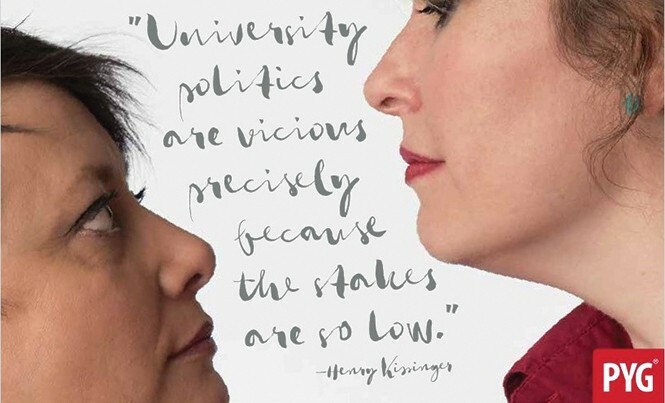 Surrounding the central premise of a free-spirited film-studies professor named Chris Remington (Tamara Johnson Howell) facing a faculty review led by colleague Alex Weedle (Alexandra Harbold), there are hot-button issues like preferential treatment for athletes, sexual harassment, social media cycles of outrage and counter-outrage and the depressing realities of academic institutions obsessed with public image.